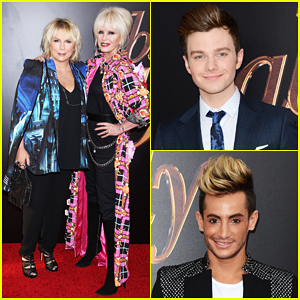 Jennifer Saunders & Joanna Lumley Are 'Absolutely Fabulous' with Chris Colfer In NYC! Jennifer Saunders and Joanna Lumley strike a pose together on the red carpet while attending the premiere of their film Absolutely Fabulous: The Movie held at the SVA Theater on Tuesday (July 18) in New York City. 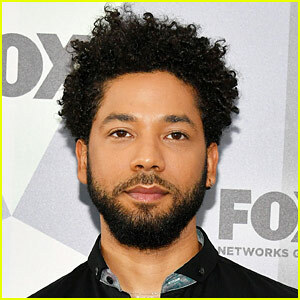 The two ladies were joined by their co-star Chris Colfer, as well as Frankie Grande, Cynthia Erivo, Daniel Franzese and his partner Joseph Bradley Phillips, model Eric Rutherford, and designers David and Phillipe Blond. That same evening, Joanna stopped by The Tonight Show Starring Jimmy Fallon to promote the flick, which hits theaters on Friday (July 22) – Watch her interview below!